The Bharatiya Janata Party (BJP) has released the second and third list of candidates with one and 36 candidates respectively for the April-May Lok Sabha polls. The second list had one candidate for the Union Territory of Daman and Diu. The third list included 23 nominees for Andhra Pradesh where polling will be held in the first phase on April 11. The list announced late on Friday night also contained names of six candidates for Maharashtra and five for Odisha. Also, one candidate each for Assam and Meghalaya has been announced in the list. Earlier on Thursday, the ruling party released the first list of 184 candidates for the Lok Sabha Elections 2019. 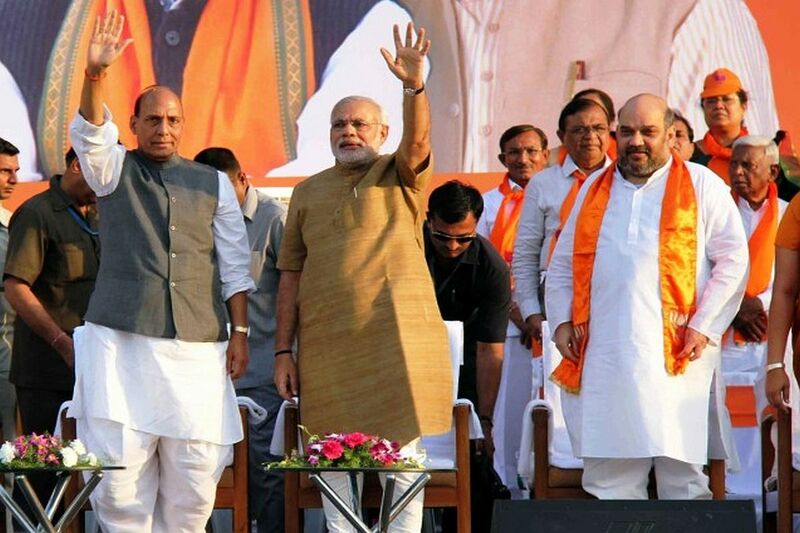 The list featured big names besides Prime Minister Narendra Modi who will once again contest from Varanasi. Party chief Amit Shah will contest from Gandhinagar, Rajnath Singh from Lucknow, VK Singh from Ghaziabad, Mahesh Sharma from Gautam Buddha Nagar, Hema Malini from Mathura, Sakshi Maharaj from Unnao. The party re-nominated Smriti Irani from Amethi who is likely to take on Congress president Rahul Gandhi. Other names include Nitin Gadkari from Nagpur, Rajyavardhan Singh Rathore from Jaipur Rural, Satyapal Singh from Baghpat, and DV Sadananda Gowda from Bengaluru North. Babul Supriyo will fight from Asansol, Kummanam Rajasekharan from Thiruvananthapuram, KJ Alphons from Ernakulam, Tamilisai Soundararajan from Thoothukudi, Kiren Rijiju from Arunachal East, Baijayant ‘Jay’ Panda, who had quit Odisha’s ruling Biju Janata Dal to join it, from Kendrapara.